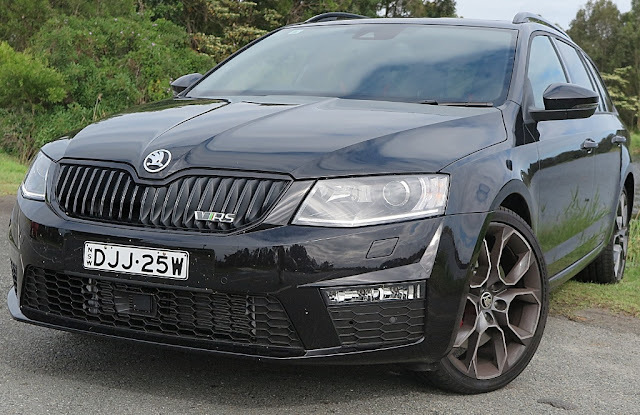 drivingandlife: SKODA OCTAVIA RS - CZECH SUPERSTAR! There is no doubt the Czech republic is a jewel among European countries. At 79,000 square kilometres, it’s certainly not large, and population over the last 50 years has been fairly static at around ten million. The capital, Prague, is a smart, stylish and clean city, full of history. However, Czech achievements in art, music and sport place it firmly on the world stage. Smetana, Dvorak and Janacek sit in the pantheon of great composers, and since WW2 Czech Republic has not only raised tennis greats like Navratilova, Kvitova and Berdych, but it has also exported countless talented and valuable ice hockey players around the world. Its automotive industry began in 1895, so it was right in there with the birth of the motor car. The sole remaining carmaker, Skoda, has been part of the giant Volkswagen empire since 1992. Today, Skoda makes just over one million vehicles a year, and is third in VW Group sales behind VW and Audi. Its most successful model is the Octavia, made up from most of the elements of the MQB modular system that go into the VW Golf; and shares the EA888 turbocharged 2.0L VW Group engine which powers the Golf. Octavia has been the spearhead for Skoda sales in Europe, but perhaps its most successful market is Britain, where, two years in succession, it won the prize for the most reliable car on sale in the UK. To that I say, ‘find new friends’. In my opinion the Skoda Octavia is my personal ‘Car of The Year’. It goes well, handles well, rides well, has all the kit - and you can always tell your friends you’ve discovered a chic European car not a lot of people know about – so it’s unique. 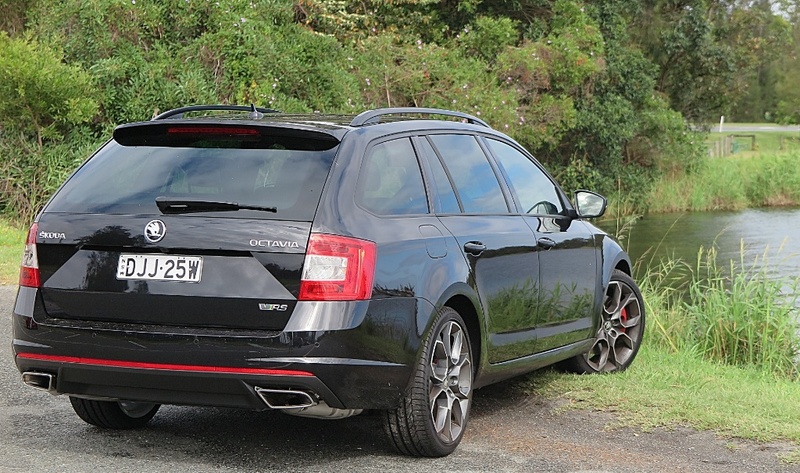 This time I’m driving the Octavia RS 162TSi wagon, which is a warmed-over version of the regular model, and features important changes to engine and suspension which makes it a joy to drive, and this one with its ‘black pack’ option appears mildly sinister. After a week, I decided I would have this in my driveway anytime. However, I have to say that as you begin to add option packs to the RS, it does total up to be an expensive proposition. Tech pack; Comfort pack; Black pack; Sunroof and Pearl Effect paint, and tops out at AUD$49,180. The base price for this car without options is: AUD$41,890. The Octavia’s closest wagon competitor is the Subaru Levorg GTS; and if you broaden the comparison to similar high-performance cars, it’s the Subaru WRX, or Ford Focus RS. Frankly, I think the Octavia beats them overall. Despite the near $50K pricetag, Octavia RS looks smart, sophisticated and at the same time ultra-practical. The rear compartment swallows almost 600L with the seats up; and almost 1800L with the seats down! It is huge; and for passengers the legroom is exceptional. The spec here is a 162kW engine, with a very sporty exhaust note, plus VW Group’s DSG (Twin Clutch) transmission. Like the Skoda Superb I drove recently the powertrain package is well-calibrated, and very economical – provided you’re not seduced by the driving thrills on tap. The grip, thanks to Pirelli P Zero tyres, is phenomenal. Probably the most impressive facet of this car is inside. Sitting in the cabin, wherever you look the materials are high quality, and the fit, finish and trim margins are exceptional. The red trim on the RS models is stylish, and a tasteful indicator of the sporty Octavia’s potential. So far, in 2016, Skoda sales in Australia are up almost 15%; and Octavia easily maintained a 4% share of its segment. I think the appeal of this classy Czech-built brand is catching on.